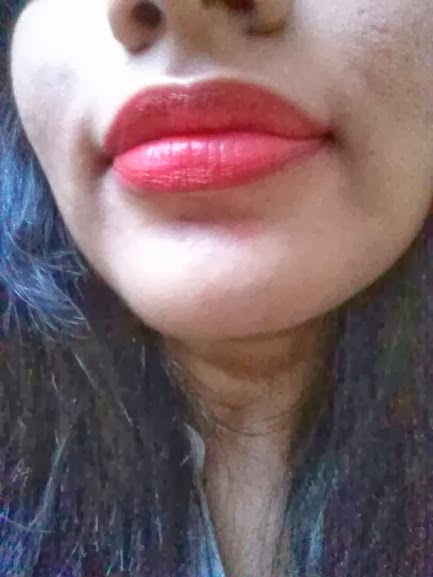 I have started using lipsticks only in the past couple of years, earlier I only used lip glosses, and was particularly afraid of bright red lipstick shades & wondered how did females carry them off so gracefully. 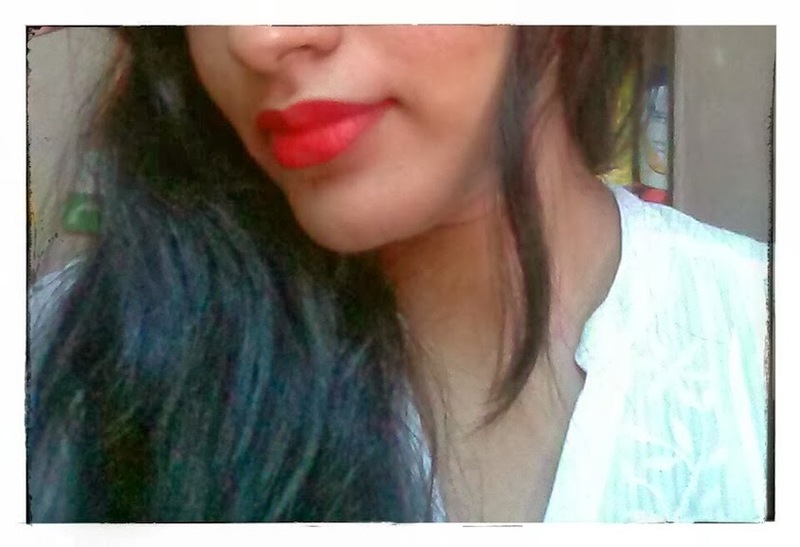 Then came my love for lipsticks, and once I got habituated, I saw that red shades look great on me! 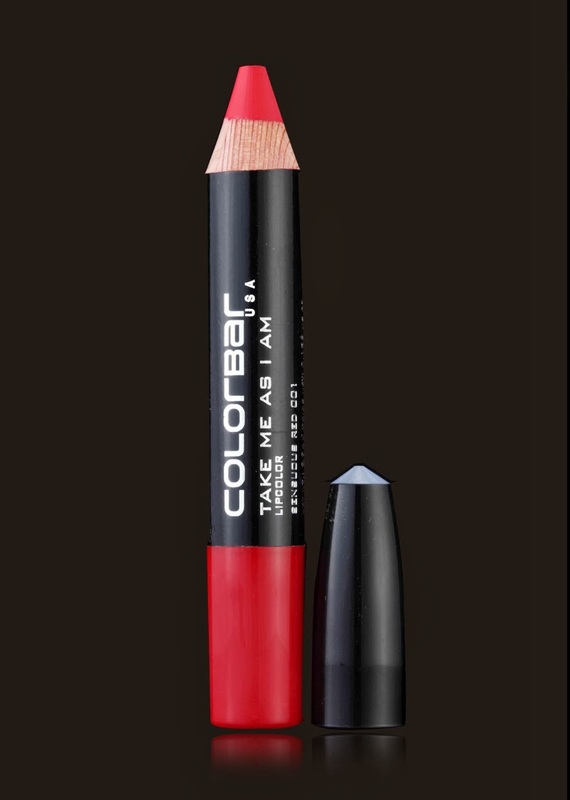 Purchased the Colorbar "Take me as I am" lip color on the recommendation of their sales person at the Phoenix Market City, Mumbai store. It actually is a chubby pencil with comes along with a complimentary sharpener. I was a little apprehensive because of the hassle of sharpening, but the salesperson promised me it would be a great decision. 1. Applies very smoothly, you do not have to put layers of the product, so it won't get over soon. 2. Gives a very nice finish, has good coverage. 3. What I used to hate about lipsticks is the "dry" feeling after application. Trust me, that changes with this product. The ingredients make your lips feel soft! 4. Really long lasting! Apply it in the day and you are good to go till night! It does fade a little, but it still is very much there! Other lipsticks I have used come off in an hour, or when you drink or eat. This did not. 1. A pencil product that requires a sharpener. So if you are travelling or use it on the go, you might have to carry the sharpener too. Though its a good thing they give it complimentary. 2. It is hard to remove it. Just washing your face or mouth won't take it off, in fact it left my hands turn pink too. You have to use professional make up removal products, face wash or wash your mouth 3-4 times for the product to properly come off. 3. Though it stays on for hours, it still does transfer, so you need to be careful not to leave unwanted stains. What I love is the shade looks great on me, goes with all my outfits and most importantly, doesn't feel dry & doesn't come off even if you eat or drink. I love the product totally. I will give it a 9/10.